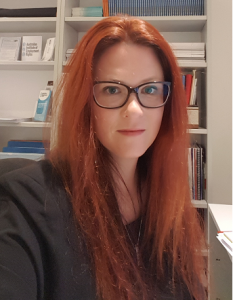 In June 2018, the Australian Institute of Employment Rights appointed Renee Burns to the role of Executive Director. 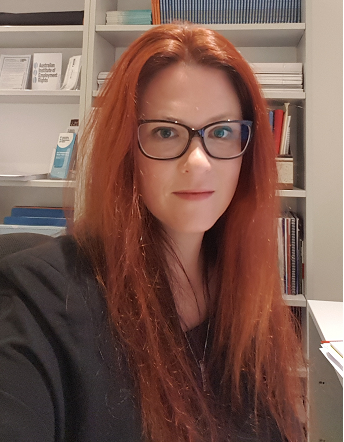 Renee has a background working in human resources and industrial relations for local government and private sector employers and is currently undertaking a Masters in Employment and Labour Relations Law through the University of Melbourne Law School. She has developed a substantial knowledge of Australian workplace relations law, policy and current workplace issues and is committed to fostering and promoting the values, rights and principles promoted by the AIER. She firmly believes that workplace relations laws must provide a framework for balanced and genuine bargaining and cooperation with fair minimum standards providing quality employment. To contact Renee, click here. 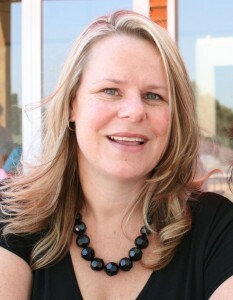 Jane took up the position as AIER Business Manager in 2009. In this role Jane manages the administrative and financial systems of AIER. She combines this part-time role with AIER with her position as National Industrial Officer for Civil Air Operations Officers Association, where she has been employed as a Senior Officer since 1994. Jane’s extensive experience in industrial relations and human resource management includes time as an Associate at the Australian Industrial Relations Commission and at the ACTU. Jane holds a Bachelor of Business (Human Resources/Industrial Relations). Clare Ozich was the Australian Institute of Employment Rights’ (AIER) Executive Director from August 2014 to January 2018. Clare Ozich is an experienced advocate for a just industrial relations system as championed by the AIER. Her experience in workplace relations law and advocacy has taken different forms: as a lawyer in private practice; as an industrial lawyer representing the WA peak body for unions; and as a political adviser negotiating federal legislation and policy. Clare brings a wealth of experience of politics and parliamentary process to the role of Executive Director. She joins AIER after six years working in federal parliament as a Senior Advisor to the Australian Greens MPs. She was the primary advisor to the Greens MPs when negotiating the Fair Work Act and related legislation and regulations through the parliament. Prior to her work in federal politics, Clare was a industrial lawyer for UnionsWA. She ran the annual state wage case in Western Australia, advised unions on a range of industrial matters, informed community stakeholders in relation to Work Choices and participated in the Your Rights at Work campaign. She has also worked as a lawyer in private practice in areas including native title, general litigation and industrial law. Lisa Heap was the AIER Executive Director from 2007 until 2014. In this role Lisa was responsible for leading AIER strategies and actions and managing its resources. Lisa continues to consult for the AIER and mentor the new Executive Director. Lisa worked as a trade unionist, lawyer, consultant and adviser in the area of workplace relations and law for over twenty years. Lisa’s work is internationally recognised. She has been engaged as a technical adviser by the International Labour Organization and other international bodies. She is the author of two international lobbying kits on the issue of paid maternity leave, which have been used by unions, community groups and governments around the world. A long time activist for the advancement of women, Lisa is a former Federal Women’s Officer of the Australian Education Union (AEU). She was the lead advocate representing Queensland community sector workers in their successful landmark pay equity case before the Queensland Industrial Relations Commission.